This is the stuff of sticky nightmares: KFOX14 reports that a few blocks of a lower valley neighborhood in El Paso, Texas were flooded with Coca-Cola after a major spill from a nearby vending company late Tuesday night. City officials subsequently closed down a few sugar-soaked blocks. 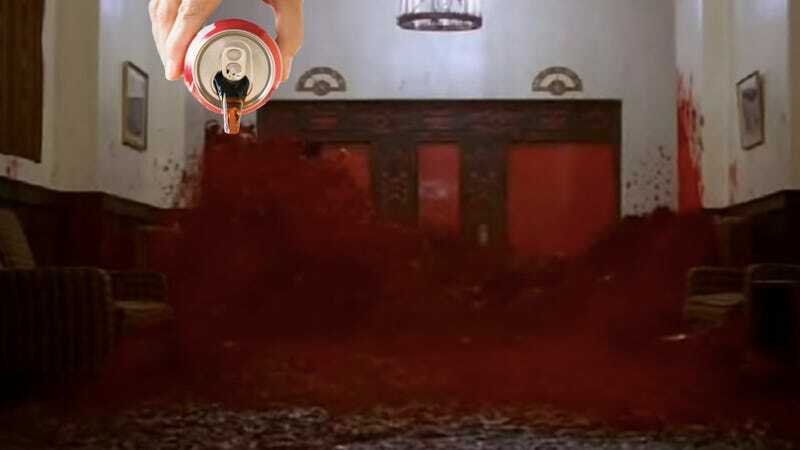 Fox News says there was no official word from the facility on the cause of the spill, but “some locals say they believe the soda came up through a drainage system.” The conditions of this kind of accident baffle me: How in the world do you attempt to clean something like that up? I can’t even stand when I get a dot of jam on my phone screen. Apparently, KFOX reports, “Crews covered the sugary sludge with dirt,” to help stop the Coke from spreading, but KFOX reporter Keenan Willard tweeted, “One worker said they’re stopping the spread, but the cleanup is the plant’s responsibility.” What a job. By morning, fortunately, the soda tides had receded, leaving some residents with Coke sludge in their yards. But the only other apparent Coke-flood victim was a bird that got trapped within the mess, but was then cleaned before escaping “to freedom.” So, happy endings all around.